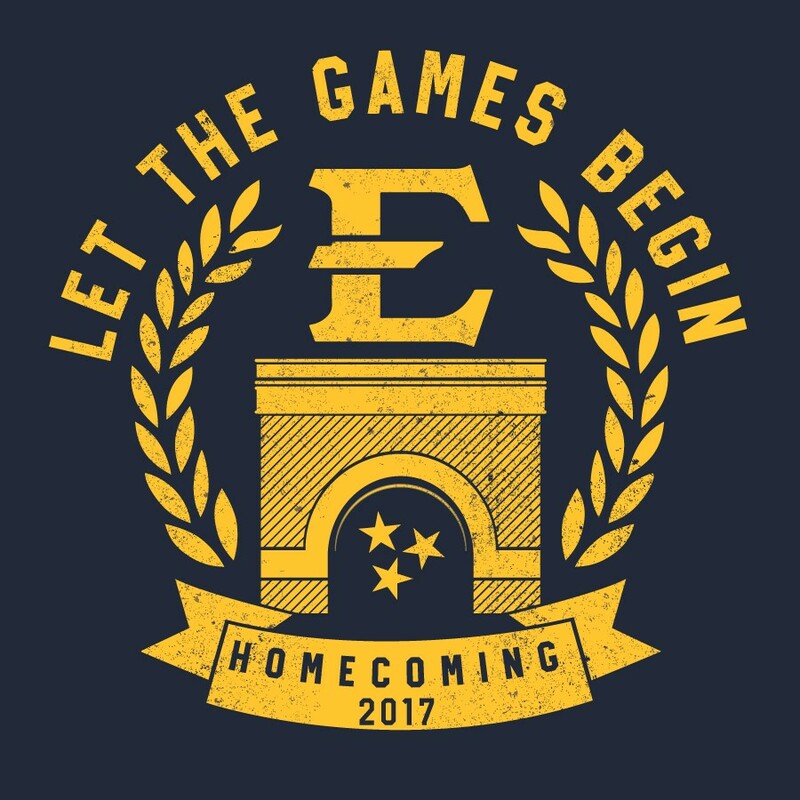 ETSU Homecoming 2k17–Let the Games Begin! Get ready, because in two weeks…let the games begin! “The Student Government Association believes this year’s homecoming theme, ‘Let the Games Begin,’ will create healthy competition and fun,” Assistant Director of Student Activities Carter Warden said. Although homecoming weekend kicks off Oct. 6, the week leading up will be full of events. Homecoming week begins Monday, Oct. 2, with the Proclamation Ceremony. Door Decorations will be from 10 a.m. to 4 p.m. and a blood drive competition at the Culp Ballroom from 11 a.m. to 6 p.m.
Tuesday there will be college spirit day where students will wear school colors all day on campus, King and Queen introductions and the banner competition at Borchuck Plaza from 10 a.m. to 4 p.m.
Wednesday, King and Queen campaigning begins on campus, there will be Buccaneer games in the Basler Aerial Adventure Course and the CPA Intramural Fields from 9 a.m. to 3 p.m. and skit night at 7 p.m. in the Culp Auditorium. Thursday, campaigning continues, Canned Food Creation will be in front at the library from 9 a.m. to 3 p.m., and there will be a homecoming concert starring the band Demon Waffle at 8 p.m. at the CPA back yard. At midnight Thursday night voting for Homecoming King and Queen begins. Voting does not end until 11:59 p.m. Friday night. The parade and pep rally from 6 p.m. to 7:45 p.m. kicks off the homecoming weekend. There will also be a volleyball game at Brooks Gym at 8 p.m. and ’90s themed dance party in the Cave from 10 p.m. to 2 a.m. The games really begin on Saturday as three Buccaneer sports teams all compete at home for homecoming weekend. At noon the men’s soccer team will play in Summers-Taylor Stadium, a football game begins at 3:30 p.m. and there is a volleyball game at 8 p.m. will end with a NPHC Step Show and Comedy Show starring DC Young Fly and the comedian Mr. Bankshot at 8:30 p.m. in the Mini-dome. To end homecoming weekend, there will be a gospel concert Sunday, Oct. 8, in the Culp Auditorium at 3 p.m. and another volleyball game at 8 p.m. in Brooks Gym. Each event will be a standalone competition, meaning there will not be an overall winner of events based off cumulative points. Although they are standalone competitions, there will be two major categories for competition, the fraternity and sorority group category or the independent group category. “We believe the new competition events and the new fun events will increase interest and draw many students that might not otherwise participate,” Warden said. Applications to participate must be emailed to Emily Assenmacher at assenmacher@etsu.edu or submitted to the SGA Office or SORC Suite A by Monday afternoon, Sept. 18, at 4:30 p.m.
For a full schedule of homecoming events go to www.etsu.edu/homecoming.